u find yourself in a tavern," or "You've been summoned to the court of..." are common starting points for many, if not most, games. It doesn't matter if you're playing OSR or 5e, Scifi or Fantasy or Rifts, many DM's just don't know how else to start the game going than with the 'common room' of starting points. I'm guilty of it as well. Sometimes it's just the easiest thing to do, but I've also got a few tricks up my sleeve and I thought I'd share them. These entry-points may not be new(s) to you, but maybe just seeing them again will spark you to drop them into play on your next go 'round. "You find yourselves in a dark cell, your clothes and items are gone, and all you have for company are the others around you and the rats." This is a favorite of mine. Nothing bonds a new group of people faster than nakedness. The shared trauma of naked (or loinclothed) captivity causes an almost immediate shared need, and thus a sense of community. Even races not generally well-disposed to one another will find those ancient biases often fall away in an attempt to gain freedom and find equipment. My earliest memory of this scenario is actually as a player in a Cyberpunk 2020 game. Waking up without a shred of clothing or dignity in the back of a derelict van with the other players. 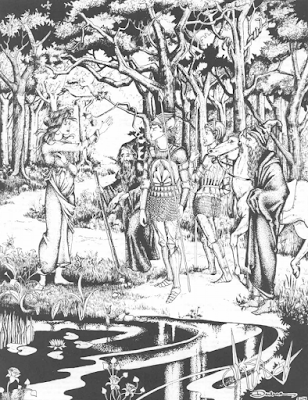 The DM wove a powerful image of helplessness, and seeking clothing, shelter, equipment and finally retribution was a great experience that bonded the characters and the players. "The attacking Giant barrels into the town, swinging what appears to be a tree in all directions. People scatter and splatter as he approaches the center of town!" Clearly there is nothing more immediate than a rampaging monster. As DM's we use them all the time, but rarely do we make it the first sentence out of our mouths. Creating a general state of chaos, especially with new players or folks who have not played with each other, is again a very easy way to bring the party together. Sure, they don't know each other's strengths or weaknesses in battle, but they will in short order. A common foe is regularly used as a plot device to drive players to act in a team-like fashion, but even if your game is sandboxy, this is a fine way to get the group cooperating early on. It may also me a good way to suss out weak characters, as not everyone survives an unforseen attack...and the death of a comrade, even one just met, can have lasting effects on party cohesiveness. 3) The End IS the Beginning or Leap of Faith! "You stare into the swirling purple chaos before you. The wall behind you pushes forward, poison spikes extended. With few spells, and few hit points left, forward seems your only option...what do you do! This one takes a bit more prep on the part of the DM, but I've used it, and it's fun. Prepare a bunch of high level PC sheets ahead of time, and hand them out to players after the players have made their own. Gather up the initial sheets at the same time. Now present these high level characters as generally out of resources, and very deep into a dungeon...the swirling pool of colorful chaos is a requirement. 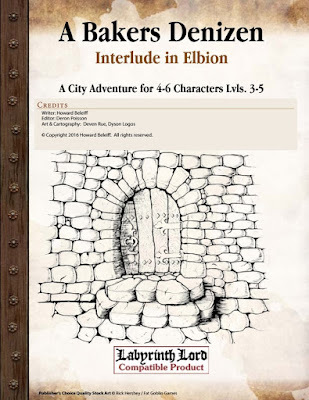 The job of the DM is to get the players to jump into the portal using any and all means. This part of the adventure is all railroad, and the players may sense this, but it's all just exposition, so as long as everyone jumps in, it's all good. 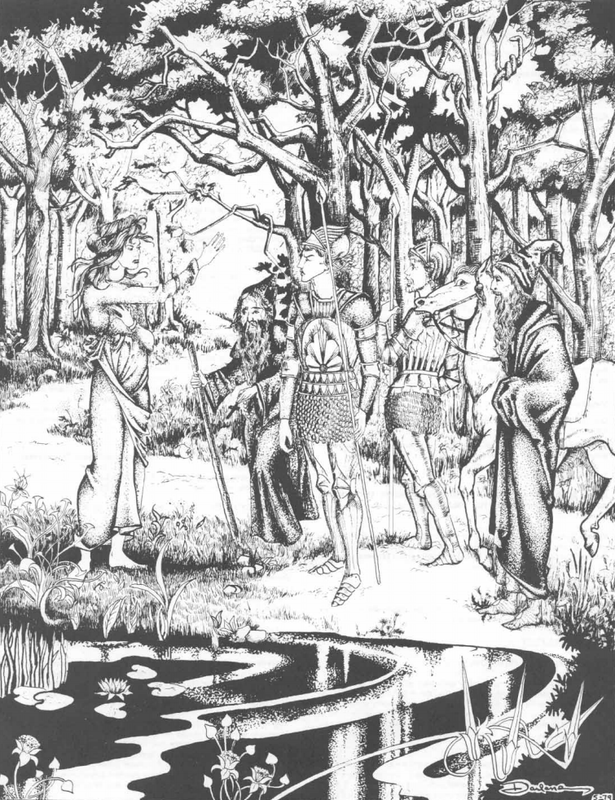 The players who jump fall into a fresh place...I like to prep an easy cave adventure, but they are then handed their ORIGINAL character sheets and begin play at level 1 (or 0) as the case may be. The shared stress of the initial experience is once again used as leverage to bring the team/party together. I've even combined this entry to the game and #2, by having them jump through the portal and then find themselves in new skin, a new environment, and surrounded by goblins, kobolds, or some other opponent in order to keep the action moving! Maybe you have a new, fun way to get the ball rolling on a new game. I'd love to hear about your DM tricks that help get the action in gear! #1 : I had some really great response to my post the other day about a share cookbook, but i've only had a few folks send me any recipes. If you're interested, please shoot me an email or leave a trail of breadcrumbs to your favorite game-time dish! #2 My good friend Mike Garcia, who is the unifying force behind Adventure Most Fowl (the first adventure module I wrote for publication) has started a neat little fundraiser for future work TBD. 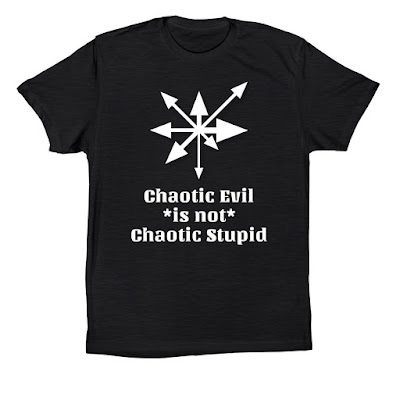 He wants there to be a bit of seed money to spread around to the creative community, primarily for art and layout work, so he took one of my favorite game-sayings and made a t-shirt out of it. If you'd like to support his efforts and score a neato t-shirt in the interim, check out his new fundraiser here for Grey Fey! Love the swirling purple Leap of Faith starter - have to use that. I avoid the tavern meetup like the plague, but also think you can maybe turn it on its head. 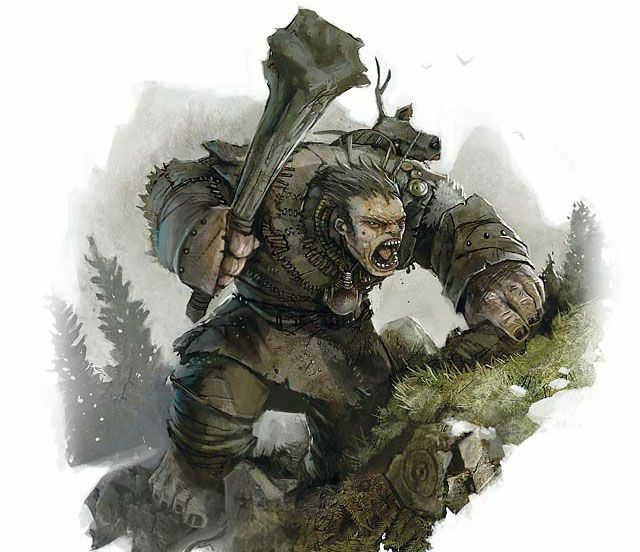 What if the party is returning to their favorite tavern at some crossroads to discover its been taken by bandits-goblins-orcs-hipsters and they have to band together to free them. Start with them watching the place and ask them leading questions; why would the hipster-goblins have taken this place captive? Who among the tavern staff owes you money? What did you hide in the cellar that the orc-pirates can't find? Who were you meeting here and why? With a good group of players it can develop into the seeds of an entire campaign. A Baker's Denizen is Now Available to Nosh! Too Many Cooks...Write A Cookbook! Playing the Game the Way I Want!